Click the stars to rate this episode. 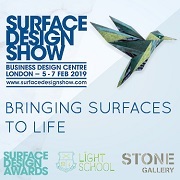 Textiles, ceramics, wood, and other materials transform into inspiring surfaces at the hands of Giles Miller, who will be speaking in the Heimtextil Trend Space on January 9th at 1:30pm. Giles Miller Studio fashions impressive surfaces out of a myriad of materials for walls, architecture, sculpture, art, and more. 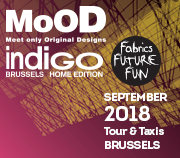 In this Trendease DesignVision Sneak Peek join us on a journey through the studio and travel the world to experience a number of his projects. 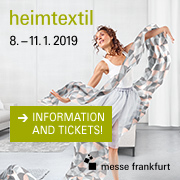 Heimtextil is one of 100+ design events Trendease attends each year. Subscribers to www.trendease.com can see detailed Heimtextil coverage here.